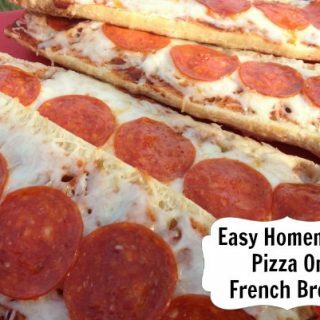 I love making frugal recipes our whole family enjoys, but sometimes it can be tough to make those inexpensive foods taste great. Tough cuts of meat, bland staple items and a low budget can make it tough to really impart richness and flavor into a meal, but these tips can change that. Over the years, I have learned how to really mix things up to create a better flavor profile on even the most bland of ingredients. 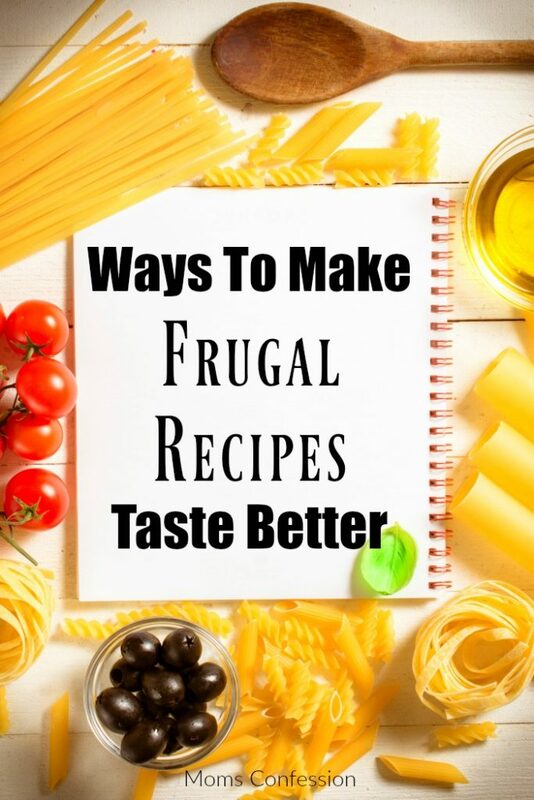 These ways to make frugal recipes taste better are so simple and easy – anyone can do them! Use fresh herbs instead of dried herbs. Dried herbs are always easy to have on hand, but if you invest the $1 per herb to grab some seed packages or starter plants and create a windowsill herb garden, you’ll have fresh herbs year round. Nothing can compare to the brightness of a fresh basil leaf in pasta sauce. Adding fresh herbs to your meals will make that jar of generic pasta sauce and noodles taste like you made it from scratch. Use your slow cooker to tenderize meat. Tough cuts of meat are often the most frugal you can find. When trying to build a menu plan around frugal recipes, this is the way to go. Grab tough cuts of meat and slow cook them in your oven in a roaster, or in your slow cooker. This can help you impart more flavor over the time it cooks and help make an otherwise tough or bad cut of meat delicious and tender. Don’t be afraid of a little heat (spice). Spicy in moderation can be a great addition to frugal recipes. Whether it is adding some diced jalapeño to your classic chicken and rice casserole, or adding a little cayenne to that seasoning on your tilapia you can add a bit of heat to really kick things up and make a frugal meal even tastier. Get to know your ethnic aisle. There are so many amazing flavor profiles in the ethnic cuisine areas of your store. Mexican or South American inspired spices are common for many but don’t be afraid of things like fish oil, oyster sauce or even Thai red chili paste in the Asian area. These things can go a long way, and provide dozens of new flavor profiles that make those simple meals even better. One favorite in our list of frugal recipes is a simple coconut chickpea curry. A bit of curry powder and red pepper flake provides tons of flavor to an otherwise simple and inexpensive dish served over rice. Add some sauce to it. Tired of eating boring chicken thighs, rice or beans? Add a sauce to your dish! Salsa, barbecue sauce, curries and more can really create a ton of flavor while remaining a frugal option. Even simply reducing a bit of the drippings from cooking meat with some chicken stock and herbs is simple, easy and an affordable way to create a delicious new dish. Just say yes to the grill for frugal recipes flavor. If you have an electric smoker, wood burning smoker, or charcoal grill you can use various woods to really create unique flavors in things like chicken, pork, beef or even your basic hamburger. Check out hickory, cedar, cherry and other woods to toss into the mix to impart flavor on your grill. Simply adding meat or vegetables to the grill alone can also give a nice char flavor that changes how your meal feels. When in doubt, create a casserole. Sometimes you only have a few things on hand and none of them is tasty by themselves. The king of all frugal recipes is the casserole. Most start with a protein, starch, sauce and a vegetable. Mix and match ingredients until you find just what you want and need in the ultimate casserole full of flavor. These tips for making frugal recipes taste better are sure to please your family and your budget!